This black Cordura nylon card holder is designed to hold the Izula® Gear Survival, E&E and Nav Cards (not included). 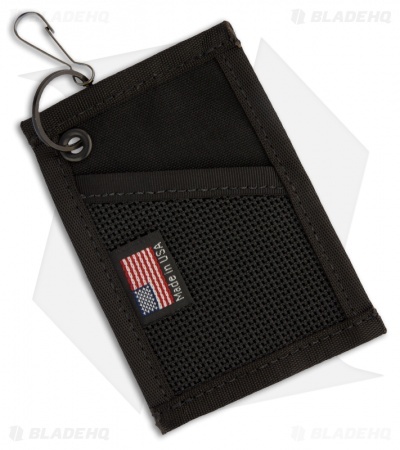 The card holder includes a split ring and snap hook for easy attachment to a pack, belt or other outdoor gear. Made in the U.S.A. Measures 4.75" x 3.00".